Businesses networks have changed a lot over the past 10 years, but MPLS has done little to keep up. MPLS circuits still take too long to receive; bandwidth is still too expensive. 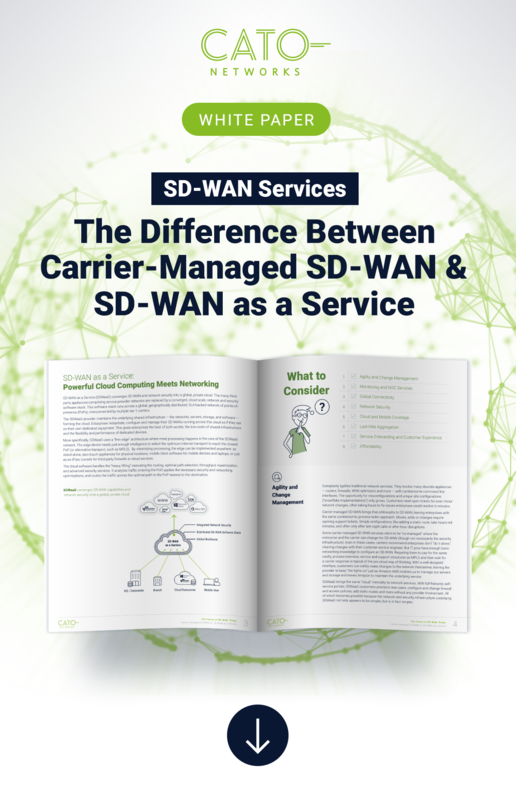 SD-WAN appliances address many of those problems while creating security and predictability issues. With all of these changes happening, CIO and their teams are being forced to reconsider their network architectures. Download the eBook that explains how to solve all of the today’s network problems delivering improving throughput by 5x and more for your physical locations, the cloud, and mobile users. See how Multi-Segment Optimization enable Cato to improve throughput by 5x and more without requiring new hardware or software appliance.